Quality Risk Management | How to Effectively Implement a QRM? Quality Risk Management (QRM) should be focused on the quality of the product – the level of detail corresponds with the task in hand. It is a systematic approach for assessment, control, communication and review of the risks to the quality of the medicinal product is needed. There are often issues, and therefore risks, with teams working to the same objectives, which are often caused by poor communication resulting in mistakes. Preventable Risks – actions can be carried out upon identifying a potential risk to prevent it from happening at all. Training – when staff make mistakes/errors it is usually due to lack of knowledge or poor training and procedures. Targeted, relevant training can prevent risks of deviations and can maintain a more controlled work flow. Strategy Risks – combination of decision makers and Questioners in control of critical thinking of risks involved with your organisations activities. External Risks – This includes internal risk-management functions and leadership teams. At times risks are uncontrollable and can’t be predicted, for example staff dying, extreme weather conditions, acquisitions, cyber attacks etc. Many companies experience deficiencies and regulatory actions as they have failed to remain up to date with regulatory change. Quality Risk Management is frequently a “top” deficiency, either from lack of risk assessments, lane/route validation for transport or from deficiencies that risked product quality that were not sufficiently closed out. The ICH Harmonised Tripartite Guideline on Quality Risk Management, know as “ICH Q9” is a very useful learning tool for quality risk management. This can be downloaded, and reviewed by personnel. It should be marked/annotated and signed and dated and placed in the personnel file, however it is a tool than can be used often. Want to know more? Contact us for a free, no obligation conversation. 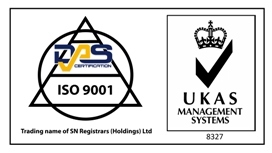 Previous PostPrevious Bona fides checks – approval of suppliers and customers. An update.